Unusual sports drink - the only one with visible effect! VITARGO! 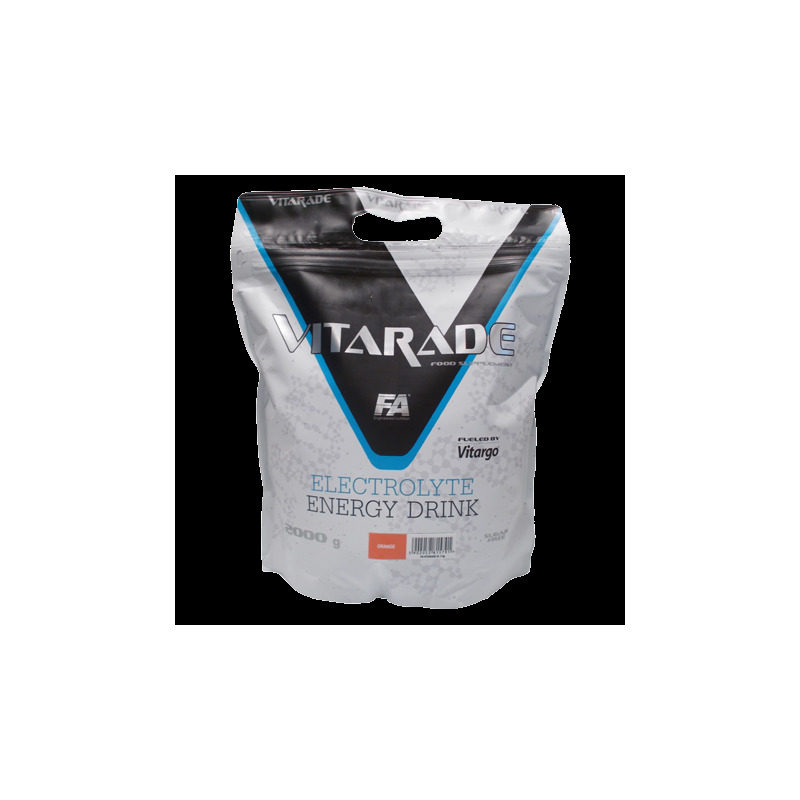 contains Vitargo®, a patented, high molecular weight carbohydrate with an average molecular weight of 500,000-700,000. It’s unique, because it’s specially processed to yield a molecular profile that is massively different from the sugars (e.g. Glucose, Fructose) and Maltodextrin found in many products. The molecular weight of Maltodextrin is around 1,000-10,000 and Dextrose is approximately 180! It has generally been accepted by science that prolonged submaximal exercise is limited by the availability of muscle and liver glycogen stores and that these stores increase when carbohydrate intake is high. It has also been shown that the rate of glycogen (stored carbohydrate in the body) synthesis is highest in muscles in which the glycogen stores have been depleted by exercise. The rate of glycogen synthesis following exercise is of importance for athletes during training sessions with repeated periods of heavy or submaximal exercise, as well as during competition especially when several periods of intense exercise are performed. Synthesis of muscle glycogen from ingested carbohydrates is dependant on the transport of glucose across the intestinal mucosa and the muscle cell membrane and on the enzymes responsible for glycogen phosphorylation and synthesis. Blood glucose concentrations are influenced by the influx of glucose from the stomach, via the intestine and into the blood. It has been shown that the osmolality of an ingested solution can interfere with the emptying rate from the stomach. Thus a high osmolality may delay gastric emptying which could delay the release of glucose from the intestine. With Vitargo® a very low osmolality, but high carbohydrate drink can be made! Vitargo can be sure to keep the blood sugar level and mineral balance during training or competition, as well as to supplement the level of glycogen, minerals and water after exercise. 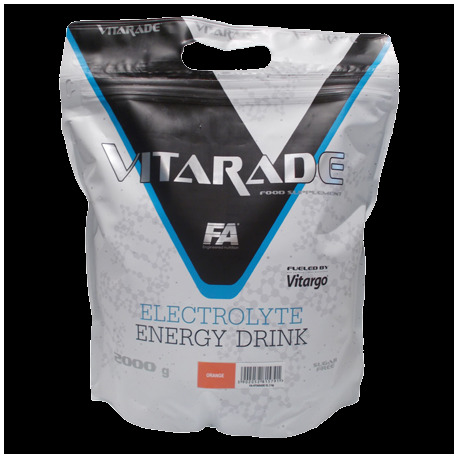 Vitargo has a low osmolality and is ultra - hypotonic sports drink, which quickly passes from the stomach into the small intestine, where it is rapidly absorbed. Vitargo EL contains the following minerals: sodium, potassium, calcium and magnesium. The function of minerals in body sodium and potassium: they regulate water balance in the blood and other tissues, which is very important for energy recovery and prevent muscle cramps. Calcium: important for the function of nerve and muscle cells, as well as in preventing the decrease in the level of calcium in the bones. Magnesium: Low levels of Magnesium reduces metabolic rate, strength and influence of the increased amount of muscle cramps. While shorter efforts mineral supplementation is not necessary, because a good diet gives them a high level. However, if an athlete takes a heavy physical activity, lasting for a longer period, while sweating a lot, mineral supplementation may become necessary to maintain the level of electrolytes, then, inter alia, preventing muscle cramps. The additional supply of minerals may be required even if the effort is carried out at high temperature. Recommended use: MIx 50 g of Vitargo® with 200-400 ml of water. Shake well. Drink when required: before, during and/or after training to provide carbohydrates and energy for the body.